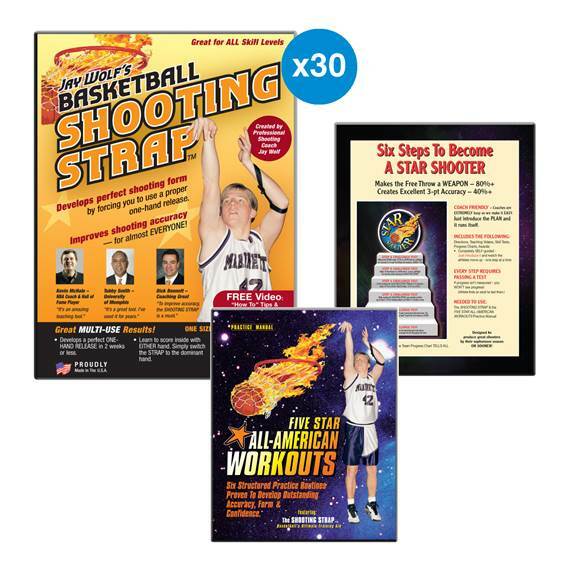 The BEST way to build your Program is by supplying ALL athletes with their own SHOOTING STRAP. Then make sure it is used with BOTH of the above plans – ‘Six Steps’ & ‘FIVE STAR WORKOUTS’. When the STRAP is used regularly, EVERYONE improves their SCORING – GUARANTEED.